Hi Beauties! How the heck is it October?? I'm not enjoying the colder weather but looking forward to some fun and exciting things happening this month. Of course I love all the Halloween and fall decor, candles, and food goodies! October is also also my mom's and 2 sister's birthdays. And I've got some very cool things going on blog-wise this month... so stay tuned! We're talking about my trash today! 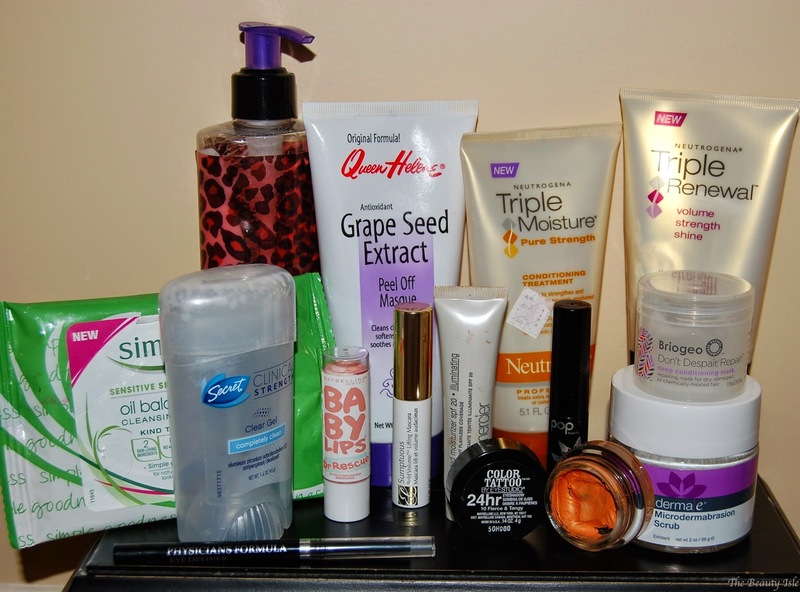 Check out mini-reviews of all the beauty products I used up in September. I loved this clarifying shampoo. I used it once a week before using a deep conditioning hair mask and felt like it really cleaned my hair of product build-up. I'd repurchase. This was great deep conditioner. I'd repurchase. I don't even know if they still sell this but I enjoyed the scent and it was a nice moisturizer. This is an amazing face scrub, you can check up my previous review of it HERE. I've had this forever and it's still more than half full. I never liked this mask, it didn't make my skin feel clean or look brighter. Also, the peeling aspect of it was just annoying and pointless. These wipes are whimpy and don't do a good job removing makeup. I used them mostly to wipe swatches off my arms. Best deodorant ever. I have several in my stash. I've had this for a few years and never liked it. It felt really oily on my face and looked very shiny. Hopefully they've improved the formula since I got this because it's a popular tinted moisturizer. This was a decent hair mask that I got in my September Ipsy Bag. I wouldn't repurchase because I've had better hair masks from the drugstore. I'm going to keep the little container though because it will be good to refill with other hair masks if I wanted to take one to travel. I've gone through so many of these through the years because one is always included in the Estee Lauder Gifts with Purchase. I never loved this mascara, it's just meh. I wouldn't pay full price for this, ever. This eye liner is ok for the upper lash line but smudges like crazy in the water line. This is not an empty, I may pass it on and see if someone else has better luck with it. I love Maybelline Baby Lips but this shade was awful on me! I just can't pull off frosty colored lips. However, since I do love the formula, I used this before bed. I have more Maybelline Baby Lips in my stash. I got this in an Ipsy bag and it was a decent mascara. It didn't clump but it didn't do anything amazing for my lashes either. I wouldn't repurchase. I really love Color Tattoos but I think I got a bad pot. It was on clearance so I got it crazy cheap but it was so dry right from the beginning. I tried scraping off the top layer, adding eye drops, scraping off more but nothing helped. The shadow was dried up all the way through. Well that's everything I used up in September, and I think I did pretty well! What product do you always have an empty of every month?